Can someone give me an idea what an experienced packer would cost? I know it's relative to the person selling the goat. I'm looking for a ballpark estimate. I'm in contact with a guy who's willing to sale his 4yr alpine that he's bottle raised and has been packing for 2yrs. He's asking$1000. That seems high to me. 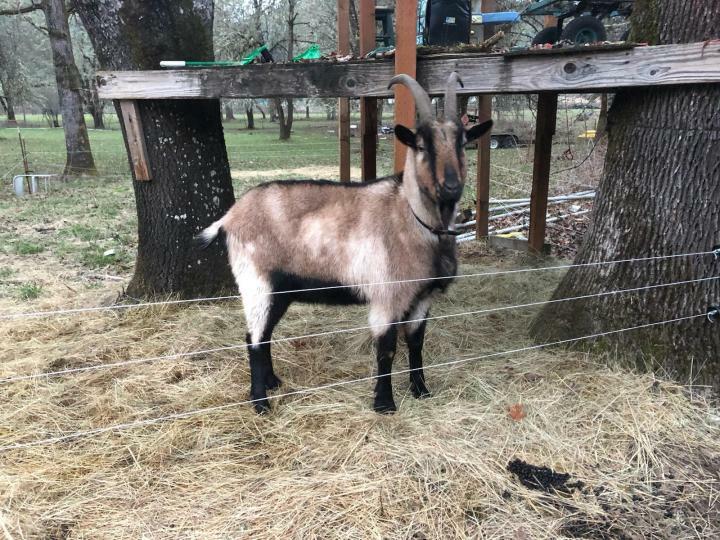 I know this person has put a lot of time and money into this goat for four years, but a seller doesn't usually consider making money by raising packgoats to maturity. It seems like $400 would be a more realistic price for a good packer, and $600 if he has amazing conformation, attitude, a lot of experience, and is very well-trained. At a $600 price point I would expect a goat that knows the "whoa" command, will stand untied while saddled and loaded, loads easily into the truck on the first command, walks obediently on a lead, knows how to tether and stand tied, is great about having his feet handled, crosses water easily, is good with kids, etc. I know the goat is worth a lot to the owner, but that doesn't mean he can expect the goat to be worth that much to a buyer. That guy is nuts!! All my guys where either free or cheap rescues with zero packing experiance. Training pack goats is easy , just gotta know the body style you want. $1000.00 is insane for just one goat. Thanks Nanno, thanks Mike for putting it into realistic terms for me. I'm not in a rush and would suggest a more reasonable offer. I attached a picture of the packer I mentioned. He's 37" at 200#. What are your thoughts on this guy? Yeah, I think I'd have a hard time getting much more than $1000 for Finn and Sputnik if I sold them as a pair, and they have been extensively trained to pack, pull carts, pull as a team, do tricks, etc. And they are flashy as all get-out! So yeah, I think this seller is not being very realistic. If a goat is worth that much to him, he shouldn't sell it. The only goats I've seen to sell for that much have been top-end breeding bucks, or really fancy milk does at the Spotlight Sale at ADGA Nationals. Since those animals can all reproduce, the buyer is actually paying for the genetics, not the specific animal. Well, I wouldn't recommend low-balling the guy. It sounds to me like he doesn't really want to sell his goat, and that's ok. I might not be able to fetch more than $1000 for Finn and Sputnik, but to me they're worth more than I can put a price on and I wouldn't sell them for any amount. (02-08-2019, 08:00 AM)Stringinit Wrote: Thanks Nanno, thanks Mike for putting it into realistic terms for me. I'm not in a rush and would suggest a more reasonable offer. Oops... we posted at almost exactly the same time yesterday and I didn't even see your post until I scrolled up this morning. I like this goat. It's impossible to be completely sure without getting my hands on him, but he looks healthy and stout. His feet and legs look nice and he appears well-proportioned with a short, strong back. I think he should be a very fine packer, but I think you could probably do just as well for 1/3 the price. I really appreciate your guys input. It's a learning process for me and I could use all the help I can get. I'm going to be on the prowl looking for prospects as well as getting some bottle babies to start training from the ground up.